You’ve laid the groundwork for taking control of your money: You know your budgeting why; you’ve got your budget set; and you’re ready for the new month. There’s just one more thing to do, and it’s the key to making or breaking your budget—tracking your expenses. Expense tracking compares what you spend to what you budgeted to spend. It lets you know if your purchases line up with your plan—if your spending’s on pace that month. This awareness shows you the money left in your budget to do things like go out to eat with friends, add guac to your taco bowl, or shop your favorite store’s sale. Tracking isn’t difficult, but it is intentional. The more you do it, the more it’ll become a habit. Until then, we can help by giving you more info on how and why tracking your spending is a budget saver. When you go to the store on August 20, you see that you have $226.50 left for the rest of the month. That’s a little over half the budget left! Now you know exactly how much you can spend in the last two weeks of the month. When you make a purchase, keep the receipt and enter each transaction into your budget at the end of the day. This is crucial so your purchases don’t pile up on you. If you aren’t proactive with those receipts, you know what happens—they’ll get lost in the granite abyss known as your kitchen counter pile, become stuck to an unwrapped stick of chewing gum in the depths of your purse, make best friends with the various $.57 balance gift cards in your wallet, or go through the washing machine in the pocket of your jeans. 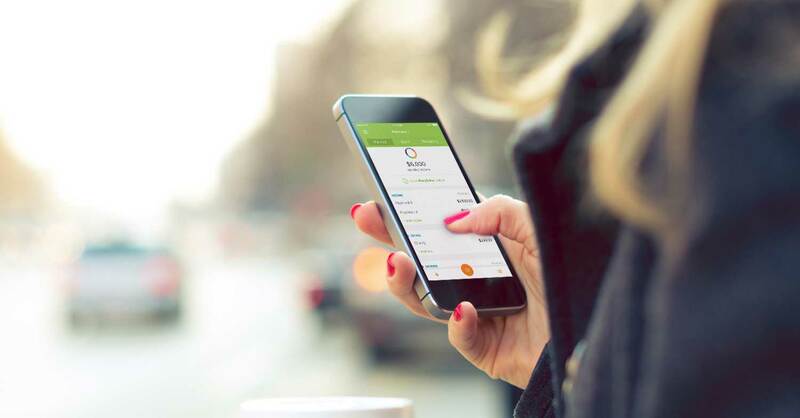 With the EveryDollar app, you can track your spending anytime, anywhere—as long as you’ve got your phone. If your receipts tend to get away from you, open the app before you even leave the parking lot. Done and done. It gets even easier with EveryDollar Plus, which securely connects to your bank so your transactions are entered for you! All you have to do is drag and drop your expenses into the right places a couple times a week. You don’t even need receipts. Tracking also lets you know if you need to make any adjustments to your budget. That comes in handy when there’re a few days left in the month, but you’ve spent (or nearly spent) the full amount of a budget category. 1. Get creative in the kitchen. See what pantry staples and freezer finds you have that can be turned into a meal. If you have a box of pasta, pick up a few veggies from the store and make enough for tonight’s dinner and tomorrow’s lunch. 2. Adjust your budget. Look at the rest of your budget. Did you set aside $50 for entertainment but you’ve only spent a couple of dollars on a movie rental? Then move that leftover $48 to your grocery category! When you track your expenses, you stay true to your budget. It’s the best way to keep yourself accountable to your plan and money goals. Do you want to try the easy convenience tracking your spending with EveryDollar Plus? Give it a test run with a free trial!